Turning Pages Readers Circle is a unique level of membership that celebrates you, the reader. Each book you receive as a Turning Pages member is a unique and eclectic selection personally chosen by renowned people in the literary field. After each book is selected, our curator writes a personal note detailing their reasons for choosing that particular title. (Previous curators have included award-winning authors such as Ann Patchett and Eowyn Ivey.) Books are then carefully wrapped by Writers & Books staff members with clues as to their themes, and then mailed to your door. 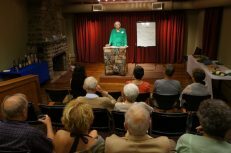 After you receive your book, Writers & Books hosts a special member-only event for you and your fellow Turning Pages readers. 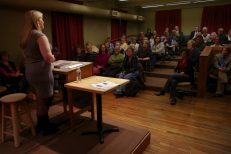 At these events, you will hear curated talks given by prominent guest speakers, engage with other readers like you, and satisfy your need for literary discussion. 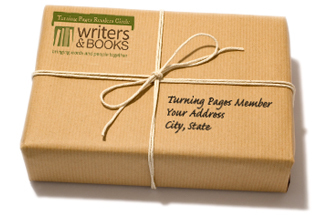 The Turning Pages Membership is only $250 per year for all the benefits described. Please contact Caitlin Davie at membership@wab.org to learn more about becoming a Turning Pages member! A full refund is given in the event that W&B must cancel a class. You will be notified about a cancellation at least 72 hours in advance. If you withdraw up to three business days before the first day of a class, W&B will give you a full refund minus a 10% administration fee. Within three business days before the start of a class, W&B will refund you 50% or give you a full credit toward another class. After the first class and up to the day of the second class, W&B will refund you 25% or give you a prorated credit toward another class. After the second class, there will be no refunds or credits. Refunds will be processed within 15 days of cancellation notice. A $30 fee will be charged for bad checks.